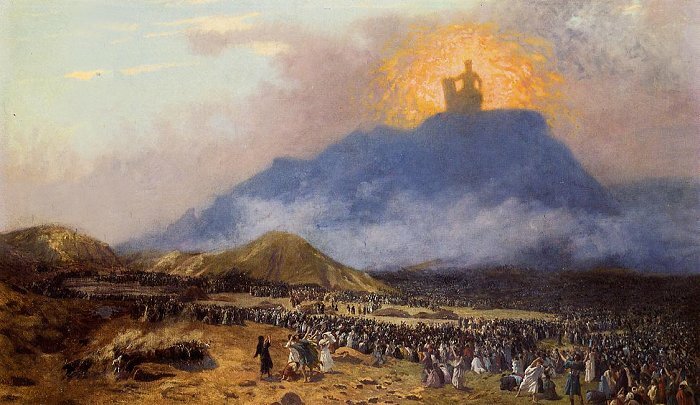 After the Exodus, God appeared before the Israelites on the summit of Mount Sinai. Painting by the nineteenth-century French artist Jean-Léon Gérôme. According to the Old Testament, the Mountain of God, also called Mount Sinai or Horeb (“sacred desert mountain”), was the holiest site on earth. It was where the Ten Commandments were given to Moses, the Ark of the Covenant was made, and where God revealed Himself and His holy laws to mankind. However, although the Bible tells us that the sacred mountain was somewhere in the Sinai Wilderness - a large desert area which covered what are now eastern Egypt, southern Jordan and Israel, and part of north-western Saudi Arabia - its precise whereabouts is not disclosed. To this day, the true location of the lost mountain remains one of the Bible’s most enduring mysteries. The whereabouts of Mount Sinai remains one of the Bible’s most enduring mysteries. According to the Old Testament, when the Israelites escaped Egypt Moses led them to the Mountain of God, which, we are told, is somewhere in the Sinai Wilderness. Today there is an area called Sinai, an area of land in Egypt, east of the Red Sea and the Suez Canal. However, in biblical times the Sinai Wilderness also included what are now southern Jordan and Israel, and part of north-western Saudi Arabia. The Sinai Wilderness was a dry, rough country with sparse vegetation, interspersed with the occasional oasis of fertile ground. Although the holy mountain was named Mount Sinai after the wilderness in which it stood, its precise location in this 55,000 square miles of desert is not directly revealed in the Bible. There are hundreds of mountains in the Sinai Wilderness – so which of them was Mount Sinai?